Social Media platforms are the one place where brands, companies, and people can interact with each other anytime and anywhere. As a marketing director or business owner, being an approachable brand with an online presence is the next best thing to having people walk into a physical store and engage with you. With all the social media chatter, how do you filter who is talking about what, and especially, who is talking directly to you or about you? Using the right social media monitoring tools can help alleviate the stress of having your day wasted scrubbing online channels to find the engagement that matters the most. If your day to day work consists of social media management, then you most likely have heard of Sprout Social. Their services cover just about everything you could need from a social media management tool. Their monitoring service tracks social activity across multiple networks and packages the information into a unified inbox for quick use. Having a tool this powerful allows you to find new opportunities to engage with potential customers and learn more about what people want so you can answer their needs. Sprout Social’s monitoring lets you identify customer issues, track hashtags, and analyze marketing campaigns to adjust as needed. Plans start at $99 a month, and you get a 30-day free trial to see if it’s a good fit. 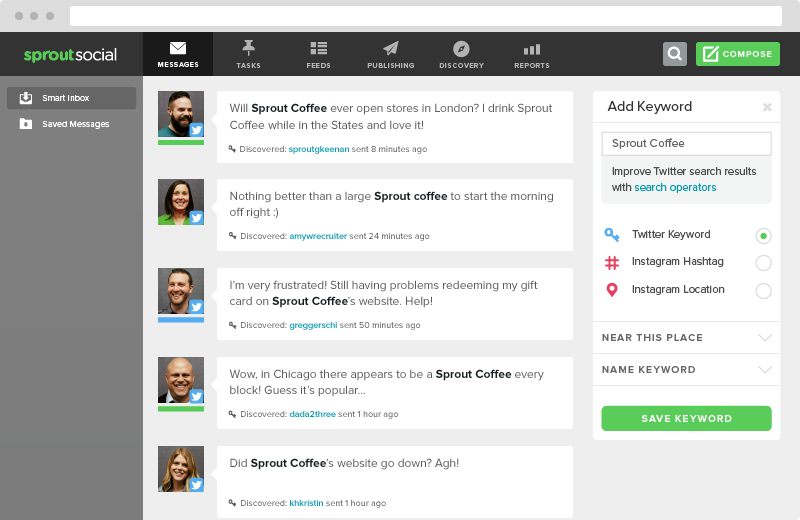 All in all, Sprout Social is a fantastic tool giving you an edge on social media monitoring. Mention started In 2012 with the goal of helping people learn what’s being said about them online. With over 650,000 companies using Mention daily, it’s apparent they are doing something right. Mention offers an easy social media monitoring service that helps increase brand awareness, improve your reputation, and create meaningful relationships with customers using social media. Mention offers a sleek interface with mobile applications helping you track and monitor on the go. Mentions social media monitoring tools aid you in finding relatable topics of conversation allowing you chime in when it matters the most. A single dashboard of collaborative tools and a price point of $29 a month makes this service a tool to “mention”. One of the most well-known social media monitoring tools around, Hootsuite offers a plethora of tools at your disposal. 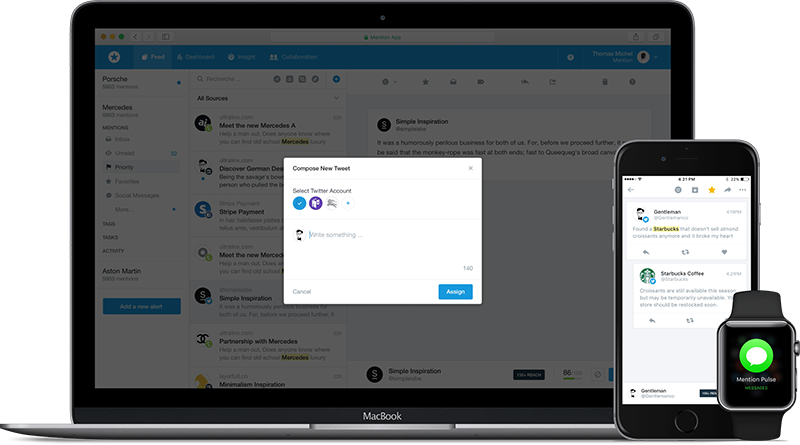 Using Hootsuite gives you a bird’s eye view of social media conversations from Facebook, Twitter, Instagram, Linkedin, and more. 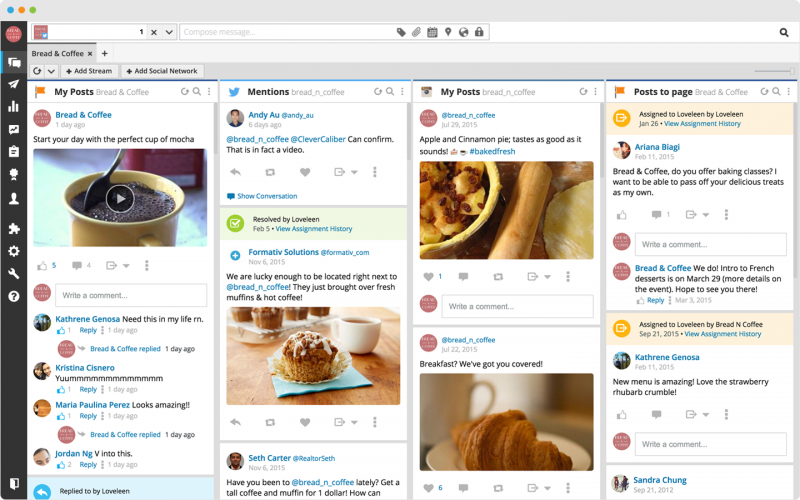 HootSuite’s user interface is not the sleekest looking, but gets the job done. Have access to an interaction history showing all interactions with customers so you can stay consistent. Hootsuite also helps you identify influencers that may offer an upper hand in social engagement. If you are looking to get your feet wet in social media monitoring before you jump into one of the other services, Hootsuite’s starting price point is FREE. Overall, there is an abundance of services offering social media monitoring right at your fingertips. Don’t wait to get started familiarizing yourself with these tools. We are in a digital age, and it’s crucial for any business to keep up with customer relations. If you still aren’t sure what you are doing, or just want to learn how to use social media to generate new leads, check out our free workbook HERE to get some ideas. 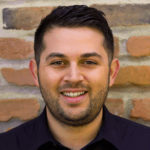 Allen is the Project Manager and digital marketing advisor at Shovel Creative. With over 10+ years of experience in client relations and a knack for customer service, he brings fresh ideas to the business. Allen values sharing his knowledge and strives to build strong communication with clients. When he’s not in the office, he finds enjoyment in producing music, shuffling playing cards, and studying marketing tactics in his free time.